Bhopal Friends celebrated World Quaker Day with silent worship. We meditated over Romans Chapter 12, followed by sharing thoughts by the members. The meeting was concluded by a group photograph. That of God in Everyone – a seed, an embers. The Godly embers helps to stable the contact between Human and God. Inner Light – it is to enlighten every part of Human Life. Merryl shared How Can We Put Our Faith into Action. By meditating on the Word of God so that we can be successful in life. When we apply the Word to a situation and we see it work this helps increase in our Faith level. We can exercise Faith in Christ when we have an assurance that he exists a correct idea of his character and a knowledge that we’re striving to live according to his will. Having Faith in Jesus Christ implies relying completely on him – trusting in his infinite power, intelligence and love. He knows how to help us rise above our daily difficulties. Molly shared how by committing ourselves to God, it not only teaches us new things but also transforms us. If rightly guided by the Spirit, it leads us to truth, unity and love. A belief in the possibility of direct, unmediated communion with the Divine. Christ is come to teach his people himself (statement by George Fox). A commitment to living lives that outwardly attest to this inward experience. Celebrating World Quaker Day with gathering and affirmation exercises with women and children of the Bohol Crisis Intervention Center. Canberra Friends have now established a tradition of talking via Skype and/or zoom to Quakers in other parts of the world. This year they talked to Friends in Bhopal Yearly Meeting and Mid India Yearly Meeting and to Quakerism Osaka, Japan. All who participated were very grateful for the connections. During Meeting for Worship in Canberra all the goal ministry was related to the world wide family of Friends. Canberra Friends acknowledged the importance of our international connections and also grieved for the difficult times many are going though. Celebrating our family by making these personal connections is a treasure. One photo is of Osaka Friends on WQD and the other is a zoom shot from Mid India of Canberra Friends talking to Mid India YTM Friends. 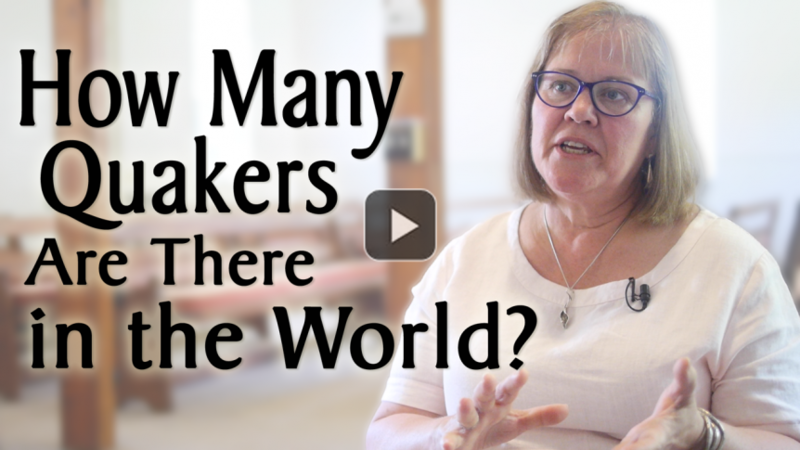 To celebrate World Quaker Day, Friends in Hobart, Tasmania, Australia watched the Quaker speak video with Gretchen Castle talking about FWCC. We then put stars on a world map, to show the places we have shared worship around the world. We had some interesting conversations about different places we had visited and friends we had met in those places, sometimes finding commonalities we didn’t know we had! Unfortunately the only map we had that was big enough is the projection you can see in the image above. What I really would have liked is a Peters Projection, which shows the relative size of each country and continent more accurately. At Meeting for Worship we remembered some of our Members who are now in Africa, as well as giving thanks for Quakers around the world who are speaking truth and working for peace. Please note our banner which commemorates this special day. Jacqueline Schultze, Secretary to Australia YM, visited Victoria Regional Meeting (VRM) on 7 and 8 October and attended one of their programs marking World Quaker Day: a public talk by four VRM Friends about their personal perspectives of the Quaker experience, followed by a short meeting for worship. The new Victorian Friends Centre was filled to capacity, with the WQD program upstairs, a training Workshop downstairs in the Library, and tea in the kitchen area, where Friends and visitors were engaged in conversations about Quakers and Quaker beliefs. Several beautiful Australian Quaker Tapestry panels were also on display. Jacqueline’s daughter’s from Earlham College, from some 20 years ago. 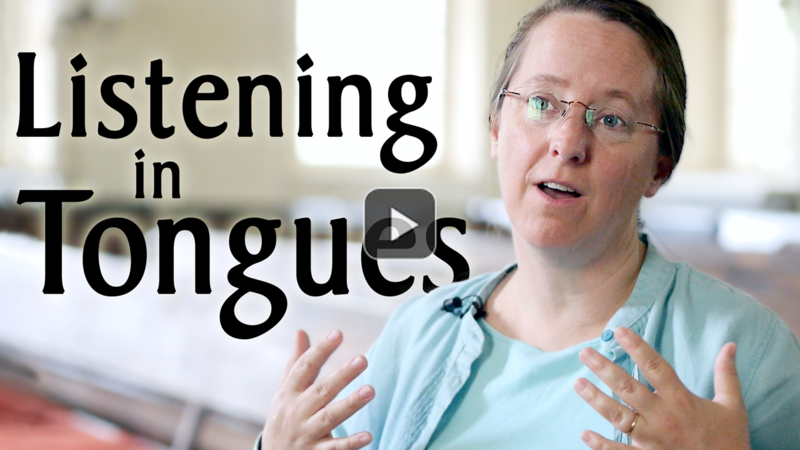 The Quaker world is filled with wonderful, deep connections.